since ancient times as a stopover spot along the highway stretching east to west. 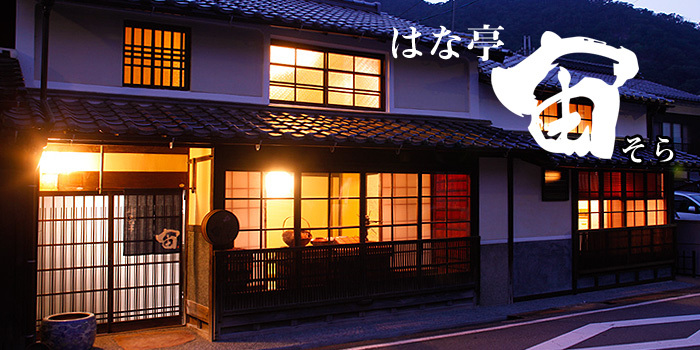 includes a traditional Japanese-style house converted into an inn called Terakoya Hana-tei. 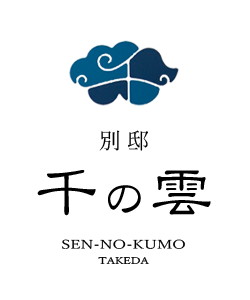 Ten (“Heavens”) and Sora (“Universe”), respectively. 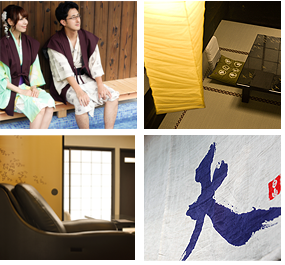 to provide a more comfortable environment for visitors. 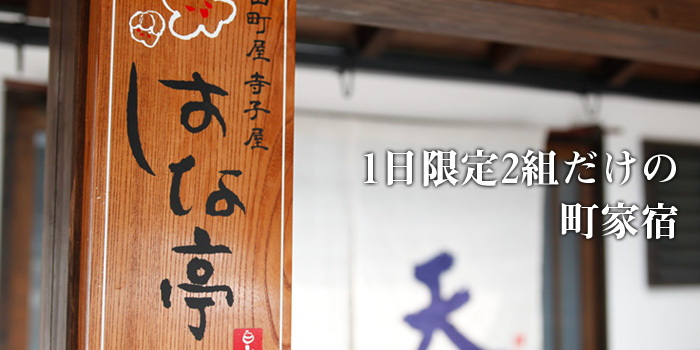 Presenting a journey where visitors “Live in Takeda for this one night”. 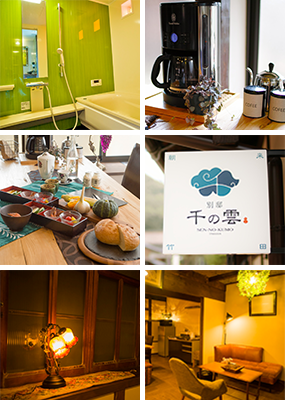 The Sora guesthouse comprises two connecting rooms. these lodgings have been reborn as comfortable spaces through renovation, providing flooring and beds. The beds are 120 cm Simmons semi-double beds. 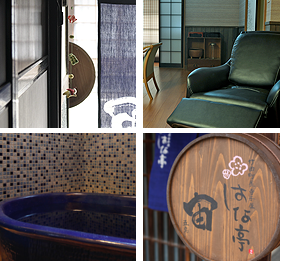 The guesthouse is also equipped with a special massage sofa?so wonderfully soothing! 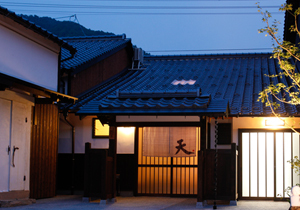 The Ten guesthouse is a maisonnette-type apartment. 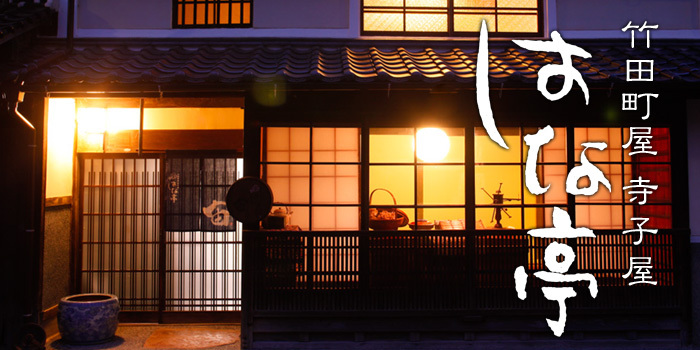 by the atmosphere of a Meiji-era merchant’s house. From the vaulted ceiling, ornamental lighting with traditional Japanese paper coverings throw gentle light onto the room. 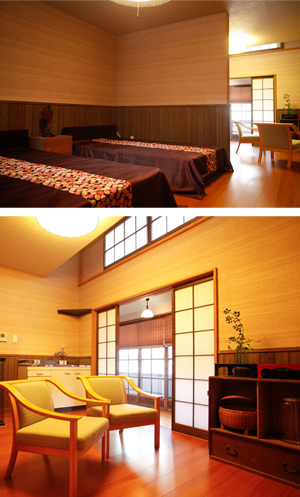 The second-floor bedroom is equipped with 120-cm Simmons semi-double beds. We reserved a single house in a whole store of two floors. 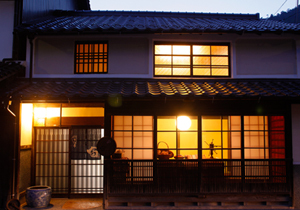 Full renovation of the pretty Showa 30's machiya. When I go on a trip, I feel somewhat calm. . . I want to spend like my own home! Perfect for a selfish customer who seems to be. 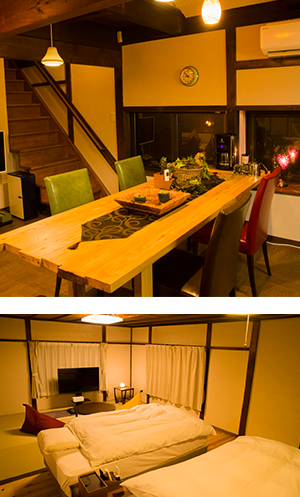 A wonderful dining table of big 2.4m of the living creates non-daily life. 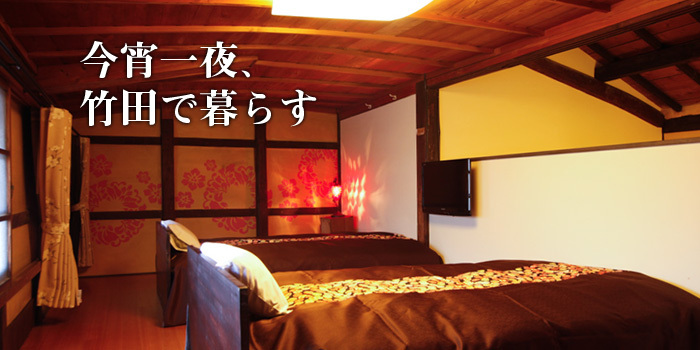 The bedroom is Japanese-Western style room 12 tatami of the product made in Simmons working under semi-double Bet. The bath prepared a modular bath of stylish Green and the contrast of the orange, too. 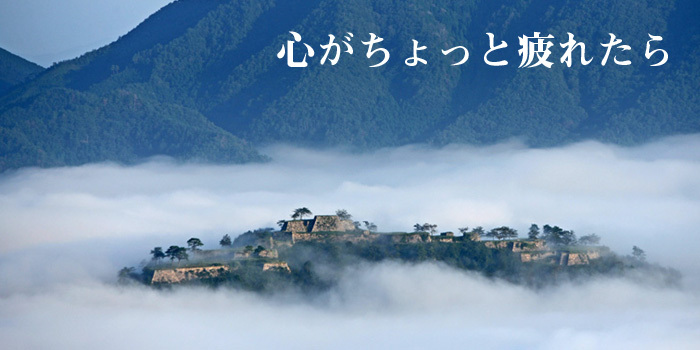 Terakoya Hana-tei is located in Takeda, in ancient times the castle town of Takeda Castle, which is called the “castle floating in the sky”. 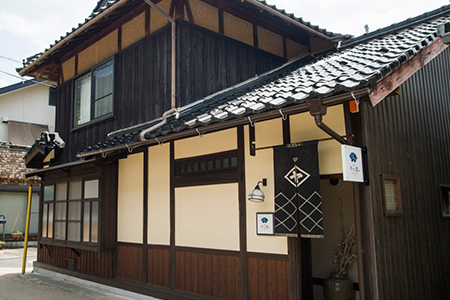 Located in inland Hyogo Prefecture, the town has a long history that thankfully has been free of major earthquakes, and so even today, there are buildings dating from ancient times dotted around the town. Walks along the Maruyama River are also recommended. a fortress steeped in history that was ultimately abandoned in 1600? If you wish to walk from Hana-tei, we recommend taking the mountain trail from behind the Takeda Station. this historic building in its original form as far as possible. 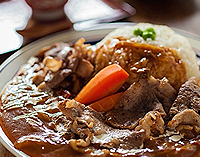 enjoy the food and homemade sweets in the cafe’s magically-soothing atmosphere. 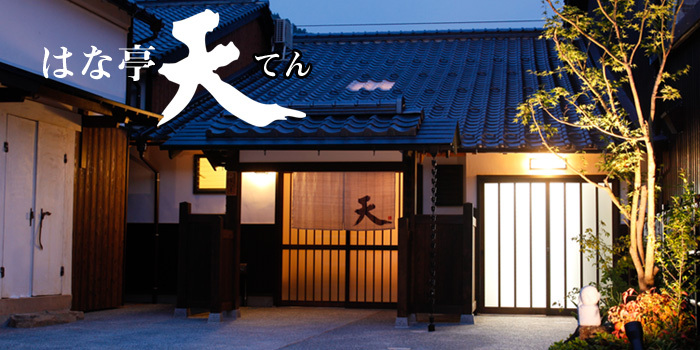 Breakfast and dinner are served in the Machiya Cafe Terakoya, located across the street from the Sora guesthouse. 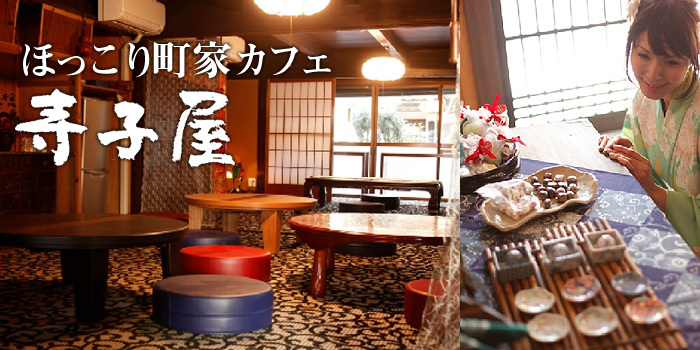 The interior of the Cafe Terakoya has undergone the bare minimum renovation, using existing items aesthetically for furniture and interior decorations. 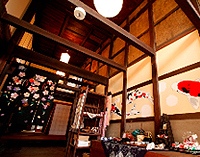 This machiya is a meeting place for many local residents as well. The dirt floor at the entrance to Machiya Cafe Terakoya. 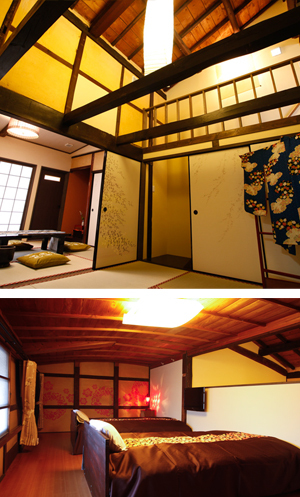 Large oblong chests are used as display areas, and the ceiling has been removed to create a sense of openness. The plaster walls are decorated with original murals painted by a designer. 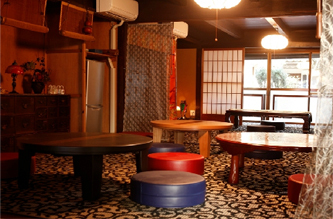 All the tables in the Terakoya are low, so visitors sit on floor cushions rather than chairs. It may be a cafe, but visitors frequently express their delight at being able to kick off their shoes and stretch out their legs in the relaxed atmosphere. The lunch menu also offers a wide selection. Please drop in during your stroll around the town. the old Ikuno Silver Mine and Kita-Tajima. 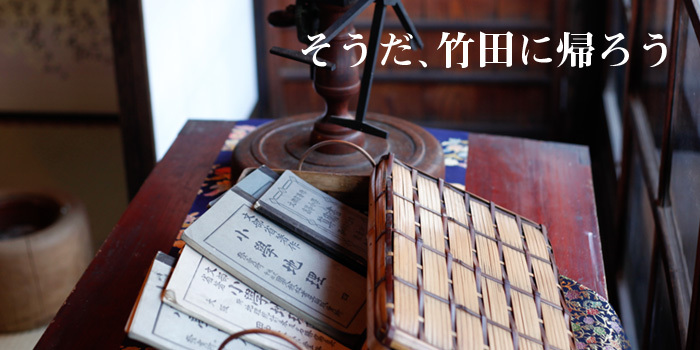 that developed from the lacquered bowls favored by the last lord of Takeda Castle, Akamatsu Hirohide. The amazingly beautiful star-filled night sky and clickety-clack of trains travelling the Bantan Line? around the quaint townscape. There are also 7 bicycles available for free hire.